SACRAMENTO, Calif., Dec. 4, 2017 /PRNewswire/ -- Taylor Morrison Home Corporation (NYSE: TMHC), a leading national homebuilder and developer, is partnering with the Sacramento SPCA for a "Home for the Holidays" pet adoption event Saturday, December 9, 2017, from 11 a.m. – 6 p.m., at the Sacramento SPCA located at 6201 Florin Perkins Road. 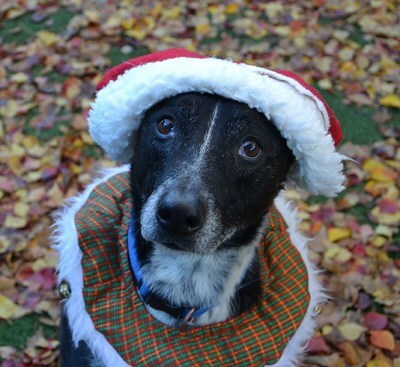 The public is invited to celebrate the season by adopting an animal with all fees covered by Taylor Morrison. "Santa Claws" will also make a special appearance during "Home for the Holidays," 12-3 p.m., so all pet owners are encouraged to bring their animals to pose for a picture with Santa on the now-famous Taylor Morrison Giant Dog Bed. Additional monetary donations given to the SPCA during the event will be matched by Taylor Morrison. "Our passion for the well-being of communities in which we live and build, along with making a difference in the lives of shelter animals and their owners, is why we embrace partnering with the Sacramento SPCA," said Meg Gore, Sacramento Division VP of sales and marketing for Taylor Morrison. "The holidays are a perfect time to celebrate with a new family member. Please help us clear the shelter and find 'fur'ever homes for these deserving animals during the Home for the Holidays event." Since the Giant Dog Bed launch in July, Taylor Morrison has made it possible for more than 30 dogs and cats to find loving homes by supporting numerous SPCA events, including a previous pet adoption sponsorship for National Mutt Day. Taylor Morrison hopes to help even more animals find a new home by the New Year. The "Home for the Holidays" event will feature dozens of adorable cats and dogs from puppies and kittens to senior animals—which are often already trained and make for excellent companions and family pets. For directions or more information regarding the Sacramento SCPA, visit sspca.org. Through the rest of the year, Taylor Morrison will also match all monetary donations to the SPCA, given to donation stations at all Sacramento area Taylor Morrison community sales centers. To learn more about the "Home for the Holidays" or to find a community near you, please call 916.553.2852 or visit GiantDogBed.com. Taylor Morrison Home Corporation (NYSE:TMHC) is a leading national homebuilder and developer that has been recognized as the 2016 and 2017 America's Most Trusted® Home Builder by Lifestory Research. Based in Scottsdale, Arizona we operate under two well-established brands, Taylor Morrison and Darling Homes. We serve a wide array of consumer groups from coast to coast, including first-time, move-up, luxury, and 55 plus buyers. In Texas, Darling Homes builds communities with a focus on individuality and distinctive detail while delivering on the Taylor Morrison standard of excellence. For more information about Taylor Morrison and Darling Homes please visit www.taylormorrison.com or www.darlinghomes.com.